We’ve seen a growing number of hybrid cases as of late, incorporating both silicate-type materials and harder TPU materials together for slim protection. Cygnett took on the challenge of creating a great hybrid case for the GS3, and they called their creation the WorkMate. The outer layer of the WorkMate is made of a heavy-duty polycarbonate material, which encases a softer silicone inner layer that provides some flexibility. I enjoyed testing the WorkMate, and a few things stood out to me in particular. It’s clear that Cygnett’s design team put a lot of thought and time into this case. There are several little things that really make a difference, starting with the materials. The solid polycarbonate offers a rigid, sturdy feel and reassures you that a mild drop isn’t going to do any damage. 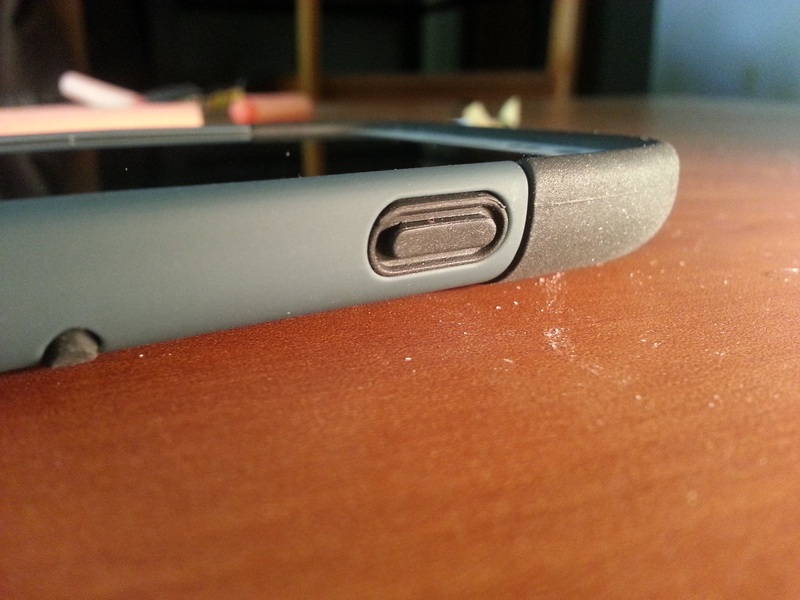 In addition, the silicone inner layer gives users a bit more of a grip, which further backs up the protection aspect. The two materials are combined seamlessly to form a case that’s strong, but not bulky. Perhaps one of my favorite features of the WorkMate is actually quite subtle. 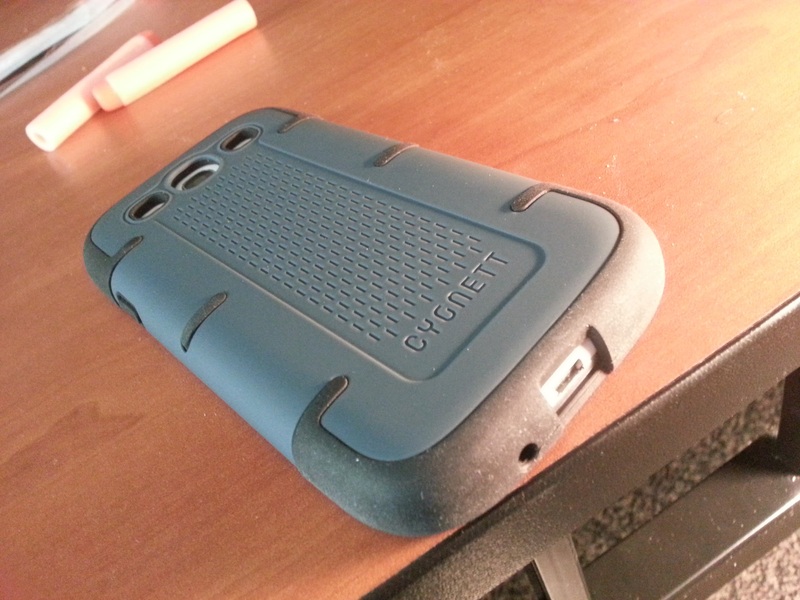 Cygnett added small “legs” on the back of the case, so that it’s always slightly lifted from a flat surface. These legs are actually just cutouts in the polycarbonate, where the silicone can fit through and provide a bit of lift. It may not seem like much, but this is something that tons of other silicone-based cases are missing. Silicone attracts dirt and dust very easily, so raising the device just a tad prevents all that dusty buildup that we’ve all experienced. I never realized how much of a difference this one little change could make until now, and it’s a feature that many other case manufacturers would do well to pick up. The cutouts for charging and headphone ports were nice and big, giving me no problems. The volume and power buttons were very easy to press, as they were covered by the silicone inner layer. The button covers were very well thought out, as both were concave in the middle. This gives off a much more natural feel when pressing the button, as your finger just sinks into it. Again, the little things like this make the WorkMate that much better. The case itself is fairly slim, and hardly adds any weight to the device. This is probably due to the silicone, which weighs next to nothing. 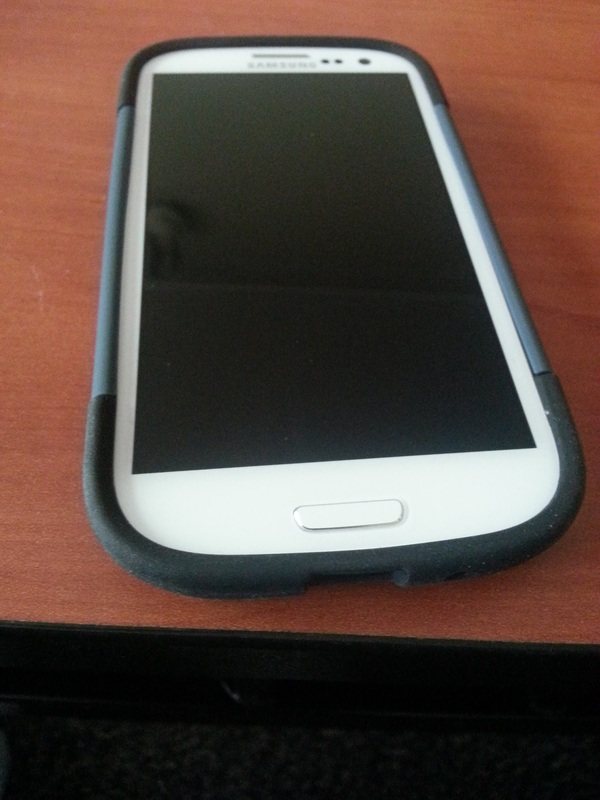 The WorkMate fits snugly onto the Galaxy S3, and once it’s on, it’s not going anywhere. That being said, I didn’t find any issue with getting the case on and off, especially considering it can be separated into two layers. It’s always nice to find a case that stays on when you want it to, but is still easy to slip off. The back of the WorkMate is primarily covered by the polycarbonate material, which has a nice line pattern to complement the legs on the sides. There’s a good amount of grip to the case, which is actually mostly due to the polycarbonate that lines the sides. The silicone offers much more of a grip, but it only covers the top and bottom of the device. Most users (myself included) hold a device by the sides, so this baffled me at first. Still, the polycarbonate offers a surprising amount of grip on its own, and it’s only enhanced by the small legs on the back of the device. Overall, I found the WorkMate to be outstanding in day-to-day usage. The drop protection is great, the materials give off an expensive feel, and it’s close to the top of the charts in terms of grip. Cygnett put time, effort, and serious consideration into this case, and it shows in so many ways. 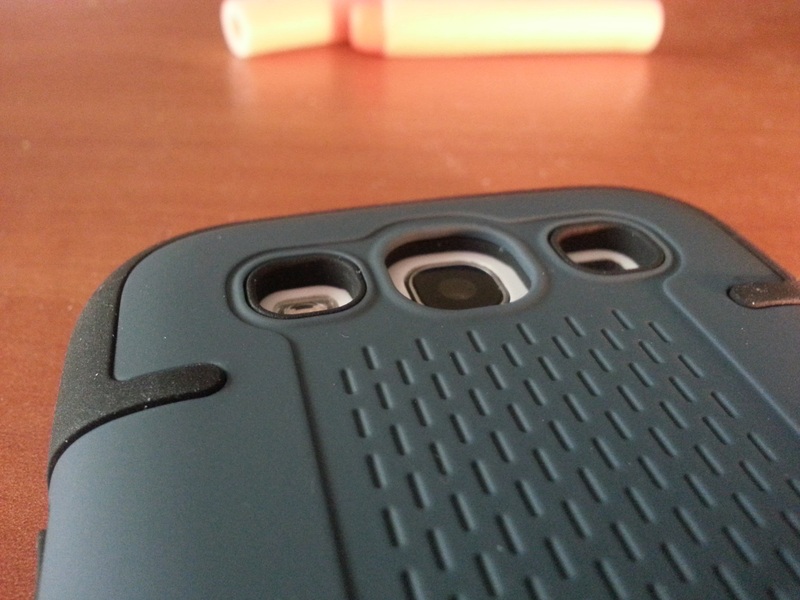 It’s definitely something I would recommend to a GS3 user looking for a flexible, protective case. The WorkMate is available direct from Cygnett in slate grey and red for $29.99, along with a plethora of other awesome cases. Cygnett may not be the most well-known case company, but they’re certainly making some great products for mobile devices. Keep it up over there, guys.